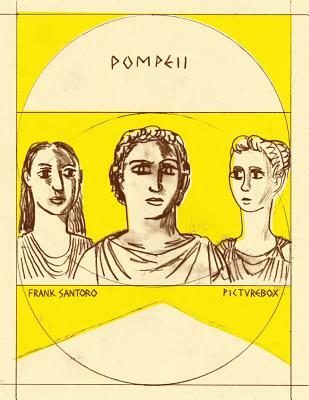 Frank Santoro's latest graphic novel--his first in six years--takes place just before the eruption of Pompeii in 79 AD. The story follows Marcus, a young expat artist from Paestum who works as an assistant to Flavius, a seemingly well-regarded painter. Aside from mixing paint, Marcus is entangled in the older artist's romantic deceptions, while stuck figuring out his own. Nicole Rudick wrote of this work in The Comics Journal "Santoro's drawings are wonderful; his reduction of figures to tone and line and shape recall illusionistic Roman frescoes and the drawings of Giacometti and mile Bernard, but endowed with comic-strip dynamism. But if Pompeii were just a series of clever sight lines and intriguing artwork, it would not be as satisfying ...] the story's physical structure is married to its themes, and to be aware of one is to be more appreciative of the other.